The latest addition in Ace family is Tata Ace Mega, which was launched on 25 august, 2015. Tata Motors, India’s leading commercial vehicle manufacturer launched, ‘Tata Ace Mega’ mini- pickup truck in the sub Rs 5 lakh small commercial vehicle (SCV) category. Initially the truck will be available for sale in 7 states- Uttar Pradesh, Rajasthan, Madhya Pradesh, Bihar, Orissa, West Bengal and Tamil Nadu and will be expanding to other states soon. The all new ace is designed to maximize revenues of the operator/user by ensuring more trips, more load carrying capability in low turnaround time. The vehicle is strategically designed to perform all tasks of a small pick-up and hence will be an all-rounder in this segment, helping the operator grow his/her business. Tata Motors has developed the ACE Mega based on the three core of DesigNext, PerformanceNext and FuelNext to cater to the evolving needs of our customers. It delivers a mega package of superior performance, increased profitability due to more speed & load carrying capacity, low cost of ownership and improved style and comfort. Launched at a price of INR 4.31 Lakhs, ex-showroom, Thane, the Tata ACE Mega is available in one color only, named as Azure Blue. Tata ACE Mega offers best-in-class fuel efficiency of 18.5 kmpl. 14 inch tyres, high ground clearance of 175 mm and gradeability of 30% is on offer. The Tata ACE Mega is powered by the fourth-generation two-cylinder, 800 cc, DiCOR lightweight aluminum engine delivering 40 hp of power, mated to a five-speed manual transmission. The small commercial vehicle (SCV) features large brakes with 7-inch vacuum booster, and strong front and rear leaf-spring suspension and axles. The Tata ACE Mega offers a rated payload of 1 ton with a new reinforced load body. The cabin of the Tata ACE Mega is ergonomically designed, with a glove box with lock, provision for music system, mobile charging facility, digital clock and full fabric seats. The exterior features body-colored front bumper, front wheel arch cladding, new body graphics, and wide-angle outside rear-view mirror on both sides. The service and maintenance features of the vehicle guarantees peace of mind to its customers. With over 1,800 service touch points and a workshop on an average at every 50 Km, Tata Motors has the widest service network in the country. Tata ACE Mega also comes with an assured warranty of 2 years/ 72,000 kilometers (whichever is earlier). 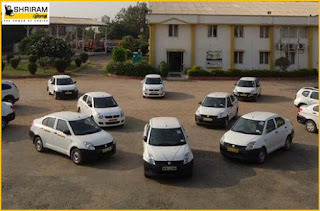 Insufficient funds should never stop you from expanding your business so, if you are looking for a single destination from where you can purchase used pick up trucks in India that too with an option of physical and online bidding, then Shriram Automall India Limited (SAMIL) is a perfect place for you. Acquiring pre-owned vehicles has become easy through SAMIL and by using bidding platforms you can take your fleet business to new heights. New Iron 883 and Forty-Eight models assert Harley-Davidson's Dark Custom leadership with motorcycles inspired by the rebellious spirit of the past updated with modern design and new suspensions that put a little extra smooth in the Harley-Davidson soul said the Company. The Road King has returned to the market and the Iron 883 gets all-new front and rear adjustable suspension setup, light-weight mag wheels, and improved seating. The 2016 Forty-Eight bike model will get a strong front tyre. The bike will come with a 49mm front suspension and an improved rear suspension. The black body colour and the chrome inserts gives the bike a bold look which also complement its retro look. Harley Davidson Street 750 will come with an improved braking system. The Iron 883 and the Forty-Eight gets, the ‘High Output Twin Cam 103’, that provides a bump in power for the softail motorcycles. Harley-Davidson says that the new Sportster suspension consists of new front cartridge forks and nitrogen gas charged shocks at the rear that offer better compression and rebound damping that the previous suspension units. The company adds that the triple rate springs in the front forks as well as the oil lock helps in preventing wheel hop during hard braking. Previously only seen on Harley-Davidson touring bikes, the High Output Twin Cam 103 engines will now be available on all Softail motorcycles – the Fat Boy, Heritage Softail Classic, and Breakout. All 2016 Sportster models are also set to get all-new front and rear suspension which pair emulsion coil-over shocks with new front cartridge forks, and new seats. Not have sufficient finance? Don’t worry; you can get used bikes from Shriram Automall India Ltd. (SAMIL), where you find huge collection of bikes and two-wheelers. So don’t wait and get the bike if your choice either through online or physical bidding options provided by SAMIL. Ashok Leyland 3120 was launched in 2013 and they named it ‘Sankagiri Express’. AL 3120 was launched to strengthen the company’s line-up of 31 ton rigid trucks division. This truck was launched with the aim to mark the brand’s superiority over others in the similar segment. Let’s have a look at is features and designs. 3120 has a powerful design similar to the company’s other models but with a strong chassis frame, which is supported by a strong suspension system giving, driver the advantage of high loads over Indian terrains. Ashok Leyland has included Twin Steerable front axles in 3120. The benefits of the steerable axles are obvious with low swept path, reduced tyre wear, increase maneuverability and an overall increased GVW capability. The long wheelbase on the ‘Sankagiri Express’ supports a bigger loading span, making it lucrative for the buyer. Coupled with the Twin Steerable axles, the 3120 is able to bear a considerable rear-overhang – something prominent in India. The cowl-chassis format can be easily adapted for many body options according to the customer needs. AL 3120 has a high turning radius due to its long wheelbase. Good fuel efficiency, which is a rare in the segment, is due the Bosch Common Rail fuel system. Radial tyres and spring suspension are the essential features provided, keeping in mind about safety and stability. Ceramic Clutches, endure more heat than Organic ones and are best suited for high-performance applications. The 3120 comes in manual transmission with a Ceramic Clutch system. The longevity of the Ceramic clutch is solely dependent on the driving habits. If driven on clutch, Ceramic Clutch will wear off fast. The 3120 has a standard Air brake system but with no option of ABS/EBD. ABS/EBD is a standard safety feature and should have been included in the 3120 repertoire. The 3120 Gearbox is incorporated with 6-speed options. For buying used trucks or any other pre-owned vehicle, you can contact SAMIL (Shriram Automall India Ltd.) executive or visit your nearest automall. SAMIL is India’s first and only company to provide its customers with unique features and services. Acquisition and disposal of vehicles has been made easy with SAMIL’s physical and online bidding platforms. The Automobile market has been on the rise from last couple of years with market leader like Honda Activa, Aviator & TVS Jupiter being sold in high numbers when compared with other players. The first quarter of 2015 has already been very encouraging for these players & the Q2 continues to promise the same. 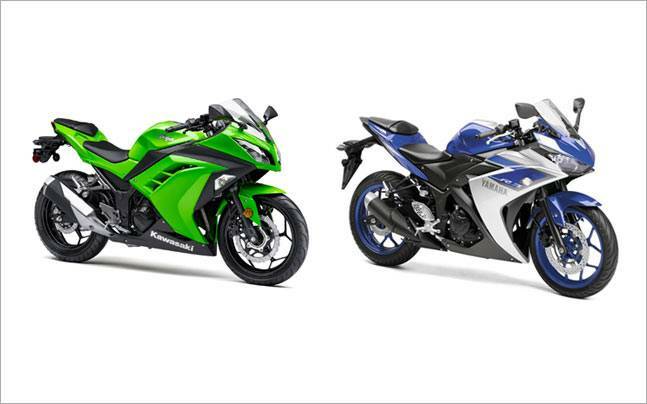 September 2015 will witness the launch of two new two wheelers, ‘Hero Duet’ & the new ‘TVS Jupiter’. Let us find out what’s new in store for us? The Hero Duet is an all new offering from the Hero Moto Corp that will feature a 111 CC single cylender engine. Recent updated reveals Duet sporting bold V-shaped chrome inserted just below the front number plate. The scooter also sports a digital speedo cluster – a first in the segment – along with more chrome on the side inserts and a black grab rail. Up front is a traditional steel wheel with a telescopic suspension setup. The Hero Duet will reportedly be the first to feature Hero’s new 111 cc single-cylinder engine, co-developed with Austrian engineering company AVL. The aluminum-based engine is said to produce a power of 8.5 BHP. The Duet will be available in Delhi & other locations in India from mid September with an expected price of approx. Rs. 48,000 (ex showroom Delhi). 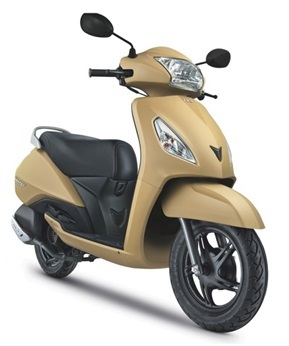 Jupiter from the TVS motors has gained the much required popularity & acceptance in the market. 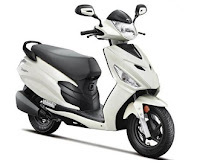 The sales figures have crossed the landmark figure of 5,00,000 in the Indian market. The top-end variant of the TVS Jupiter scooter will be equipped with 220 mm disc brake at the front as standard, and finished in new exterior colors with body graphics. It is powered by the same 109.7cc, single-cylinder, air-cooled, petrol motor producing 8.2 PS of power and 8 Nm of torque paired to a CVT gearbox. The Jupiter is capable of returning 62 km/L of mileage. The all new Jupiter is expected to be priced at Rs. 50,012 (ex showroom Delhi). If you are looking to acquire used scooter of any brand, then Shriram Automall India Limited (SAMIL) is the one stop destination for you. 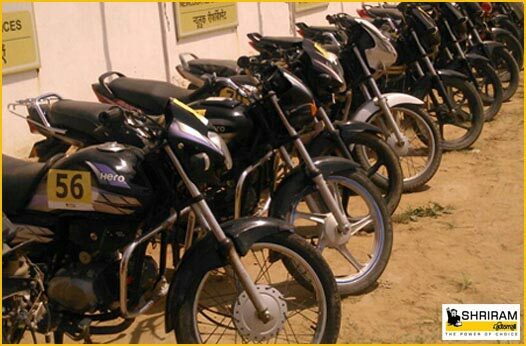 Come & witness an exhaustive line-up of used two wheelers to choose from. It is India's first ever business house that offers an exceptional transaction medium endeavoring to reach even the remotest sections of the country, by offering unparalleled services. We Have Still Not Had It All… 2015 to Witness More UV’s Coming…!! Automakers in India have decided to revive the declining UV market & that’s how they are set to rock you with these upcoming UV’s by the end of 2015. Lets meet the 5 new UV’s that can hit the roads soon. The home grown major auto maker Mahindra & Mahindra’ much awaited compact sub four meter SUV TUV 300 will be launched on September 10. It will compete with the likes of Toyota Etios Cross, Hyundai i20 Active and Fiat Avventura, and is expected to be priced between Rs 6.5 - 8.5 lakh (ex showroom Delhi). General Motors is still not able to revive its fortune in India, but with Chevrolet Trailblazer launch this year they are hopeful to. The launch date has not come as of now, but if rumors are to be believed the SUV will be launched somewhere around October 2015. The vehicle, first showcased at the 2012 Delhi Auto Expo, will be priced around Rs 18 - 20 lakh (ex showroom Delhi). The new Chevrolet Trailblazer will be available in seven exterior colours - blue, white, brown, black, grey, red and silver. The American Automobile maker has lined up a few exciting cars in the coming month & the all new Ford Endeavour is one of them. The SUV is expected to be launched in the festive season and well be priced between Rs 22 - 27 lakh (ex showroom Delhi). It will be a "mint fresh product that would quench Indian customers' thirst for stylish modern vehicle with all latest gizmos". Fiat Chrysler Automobiles' Jeep brand will make entry into the country with the launch of Grand Cherokee slated for this festive season (October 2015). It may be priced between Rs 50 - 55 lakh (ex showroom Delhi). If you are looking ahead to purchase a second hand car in the utility vehicle category then don’t wait, simply pay a visit to the nearest Shriram Automall near you and pick the used car of your choice from the widest line up available for disposal. Are you planning to sell your old truck and looking to get the best prices for the same? Connect with Shriram Automall India Ltd. (SAMIL) to crack the best deals for the dale of your used truck. Selling your old truck online is very easy, you don’t need to take mental stress and possibility of frauds almost comes down to nil. When world is going Online to buy and sell even small commodities, you should also look for the best platforms for selling your trucks online. Online bidding has its own advantage and that is people from far off places can also take part in the bidding and acquire the trucks easily. Realizing best prices for your old trucks is what owners look for to get all included cost of repairs and other features to be covered in the sale price. It is easy to buy as well as sell your old truck with SAMIL either through the physical bidding platform or you can connect with SAMIL’s online platform of bidding. Read on further to know how you can sell your used truck through online platform. • To sell your old truck, contact SAMIL executive and meet up to complete further formalities. • After meeting up and discussing about the sale of the truck, an agreement is made between the customer and company, regarding various rules and policies. • After signing the agreement, customer is required to pay RSD and subsequently a seller code is issued to him. • Field officer visits the location provided by the seller to verify the information provided by him and clicks the picture of the truck which are to be uploaded on the online bidding platform. • Auction manager enters the details and conducts the online bidding. • Highest bidder for your truck will be the winner and then the truck will be sold to him after completing the formalities. • Buyer will directly meet the seller and pay the amount to him. The Mahindra TUV 300 has made the required buzz since the first sketch was unveiled on June 30 this year. Recently the manufacturer has revealed the unmasked version that revealed a few specifications of the car. The 4 meter vehicle borrows design cues from the Bolero, the car now sports a new pattern for the alloy wheels, square wheels arches and short overhangs. The straight roofline is in line with the squarish shape of the vehicle that comes equipped with a boot-mounted spare wheel. The company has made no official detail about the equipment list put down in the cabin. However, we can expect all the standard features and accessories from the Scorpio and the refreshed XUV 500. Despite being a compact SUV, Mahindra has managed to put in two jump seats at the back like they did in the Quanto, making it a seven-seater. Depending on the variant, the engines used will be one among the series of advanced mHawk 80 mills that have been developed in-house by the carmaker. The Mumbai-based manufacturer will bring the TUV 3OO to the Indian car market just before the start of the festive season, providing prospective car buyers a new option to choose from the available cars. We expect the TUV 3OO to be a crucial vehicle as the compact SUV segment in India is going strong and enjoying a good demand quite lately. It will be slotted below the Bolero, which is one of the best-sellers for Mahindra. The TUV 3OO is expected to replicate this success and will go up against the Ford EcoSport, Renault Duster and the Hyundai Creta. If you are looking to acquire some other modals of Mahindra & Mahindra you can visit Shriram Automall India Limited near you & inspect from the widest line of second hand cars of all make & models & can also take benefit from the finance service offered by Shriram Transport Finance Company under the same roof. In competition with Maruti Dzire, Hyundai Accent and the likes, Ford has launched its new version of Ford Figo which is anticipated to take the much loved Sedan Section of Cars a step ahead. Taking the legacy of bestselling hatchback Figo forward, Ford has offered this sedan in 1.2-litre petrol and 1.5-litre diesel engine options available in four variants, while a 1.5-litre petrol with a dual-clutch 6-speed automatic transmission is available only in the top Titanium trim. The engine in its current state of tune, with the EcoSport, returns 22.7Km/l. After detuning, it is expected to deliver a mileage of around 25Km/l, thus making it one of the most fuel efficient cars in its league. Based on 'One Ford strategy', the Figo Aspire shares its design aspects with other Ford cars including the EcoSport and Fiesta. Despite being a sub-4 metre sedan, the Figo Aspire looks like a proper sedan and not just a booted hatchback. The Figo Aspire is available in 4 trims - Ambiente, Trend, Titanium and Titanium +, and is available in seven colour options - Ruby Red, Sparkling Gold, Oxford White, Tuxedo Black, Deep Impact Blue, Ingot Silver and Smoke Grey. Being seen as a terrific competitor of Dzire and Amaze, Figo is expected to soon take over the Sedan Segment of the Indian Automobile Industry. Tastefully crafted exteriors with stylish front fascia will definitely turn the heads around. The hexagonal grille featuring multiple chrome slats looks rich and classy but the problems are the side profiling where the car does not look balanced and a flat back of the car.The rest of the features like the elongated headlamps, subtle creases on the bonnet and the sharply angled A-pillar compliment the front that looks both aggressive and superior. The interior of the Aspire must become its biggest selling point; it is spacious and premium. The cabin looks roomy with Aspire being the first car, in the segment to get leather seats, which makes a really nice impression when one enters the cabin. Aspire is the only car in the segment to offer two airbags as standard in all the variants and 6 airbags in the Titanium+ variant. The New Ford Figo Aspire is predicted to take over the Market, offering such top class features when compared with others in segment. Being really high on safety, it beats the competition on ride and safety platforms. Starting at INR 4, 89,990, Figo’s price is likely to be a positive factor for it. For other models of Hatchbacks, Sedans and SUV, you can connect with Shriram Automall India Ltd. (SAMIL), pioneers of used cars in India. You can visit SAMIL to acquire or dispose off your pre-owned vehicle at best prices. Online and Physical bidding platforms, are available for bidding of vehicles with SAMIL. Construction equipment owners often face the problems of disposing off the equipment after they are no longer profitable for them. Productivity of construction equipment starts to decline after a period of time due to their usage as well depreciation implied upon the equipment; but after the equipment are no longer productive owners look for a platform to dispose off their equipment to find profitable deals. Traditionally, owners had limited options of returning equipment back to the manufacturer or the dealer or listing the equipment in classified. But now sellers have many options of cracking deals like bidding and listing the product on online platforms. 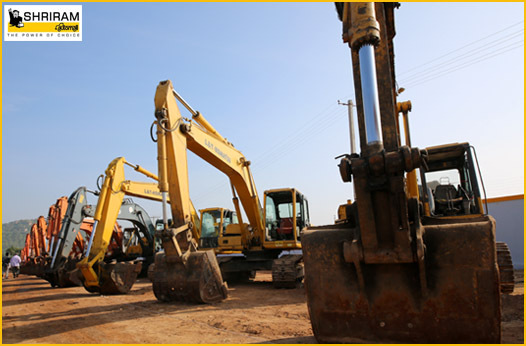 Online bidding provides hassle free services and profitable sales to the sellers of pre-owned construction equipment. Not being specific to a region, online bidding connect buyers and sellers from all around globe, ensuring more bids than the traditional bidding. Online bidding today are more hassle free as, companies who are dealing in buying and selling of vehicles, take on the responsibility of fielding calls and handling questions from the expected buyers. 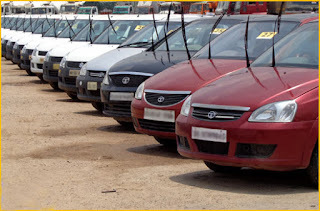 Shriram Automall India Ltd. (SAMIL) is one of the leading companies which provide the users a platform to acquire or dispose off their vehicles. SAMIL provides solutions from parking the vehicles to providing refurbishment facilities to its customers. Their Online platform for selling construction equipment benefits the buyers in such ways that buyers realize best values of their equipment. Online bidding also offer greater convenience. Sellers are able to list their equipment from their workplace or home. They don’t even need to connect with the buyer and have no responsibility of finding interested buyers. Detailed inspection reports have proved to be a valuable service to online bidding participants. Since sellers cannot physically show their equipment to interested buyers all around, a detailed equipment inspection report on the company's website helps to know the exact condition of the equipment. Sellers must look for an online bidding company which will verify and guarantee payment. To sell your construction equipment, you can connect with Shriram Automall India Ltd. (SAMIL) where you will be able to crack best deals and get the best price for your equipment. You sell your equipment online as well by physical bidding platforms. • To register yourself with SAMIL’s online platform, you have to visit the website bids.samil.in, and click on the register now link on the page. By submitting your documents on the page, you sign in to the website with your unique id and password. • You can opt for online training which is provided by SAMIL, you can call on 1800 102 4141, for free online training. • You can download the inventory list prior to bidding event, and shortlisted items can be personalized by my watch list tool on the page. • You have to submit a Registration Security Deposit amount, which is refundable amount. • The Seller approves the highest bid, and post his approval bidder owns the vehicle. • Payment is paid to the seller directly and as a mediator SAMIL is entitled to a minimal fee. Connecting with SAMIL leads the buyers and sellers cracking the best deals. Not only used construction equipment but Commercial Vehicles as well Non Commercial and two wheelers are available with SAMIL which can be owned at easy finance options. Why Purchase A Used Bike Through Online Bidding? So, your college life has begun and it is very difficult for you to commute in buses or metros. The first thing that comes to your mind at the moment with this problem in your kitty is a bike of your own. It can serve your purpose completely. I guess; a used bike will be a better pick at this point of time in your life. After all, you’ll have to think about your pocket which is not that heavy yet. In an online bidding event, you get best market prices on used bikes. Your deal is going to be absolutely worthy in comparison to the ones if you chose stores for buying a pre-owned bike. What could be better than sitting on your couch and buying a used bike from the comfort of your home? Nothing! Online bidding on used bikes is possible at anytime from anywhere. Your visit to a bike showroom will give you only a few options in terms of variety. However, online bidding is surely going to serve you a huge variety of used bikes in a single click. To participate in online bike bidding, visit bids.samil.in. It will give you a huge variety of pre-owned bikes at an amazing price range. It is a highly convenient online bidding platform of Shriram Automall, India’s one-stop destination for pre-owned vehicles and equipment. Online bidding is an exciting way of owning or disposing second hand bikes in India. We also cater to other segments, including used commercial vehicles, construction equipment, tractors, cars & SUVs, three wheelers and two wheelers. As India gears up to celebrate 69th Independence Day this year, we are sharing the list of top 8 cars that has been the part of automobile industry all these years. Cars that were loved and preserved by many, have been the most sought after four wheelers that were, the important part of lives of the Indians. The car was in production from 1958-2014; it’s the most iconic car of India. Ambassador has been the favorite of Indian Politicians and Government officers. Unfortunately, the car’s production came to a halt in May 2014. Despite the British Origins, ambassador was loved by everyone and was fondly referred to as ‘King of Indian Roads’. People’s car was launched in 1983, and was in production till 2014. It is widely regarded as the most influential car in India. Being the affordable car it was loved my masses and was the first small car of India. It made the middle class families realize, their dream of owning a car and was the number car till its production. Tata, being one of the biggest automobile companies of India, launched its low priced small car Tata Indica in India in 1998. It became a household name because of its features which were available at a very low price. Tata launched various variants of Indica and made it one of the best sellimg cars of country. Hyundai entered Indian automobile market with Santro in 1998, and Santro soon became India’s second bestselling car. At the time when market was flourishing with small cars, Santro became the sought after name and took the name of Hyundai forward. Hyundai also launched Santro in various variants. Wagon R was launched in 1999 in India and soon became a success in markets. Launched mainly to compete with Santro, Wagon R was better in look than the others car in the segment. It has gone under various modifications since launch and launched in various models. Launched to compete with Tata Safari, Scorpio soon became a success in Indian automobile market. Scorpio even represented Indian markets globally. It also won ‘Best Car of the Year’ as well as ‘Best SUV of the Year’ from BBC. As under Sedan Class cars with 10 Lakh as budget, Dzire is the most preferred car by Indian households. The car offers best in class features, and has topped the charts many times. First choice of Indians is also available in new models with new features. The most economically feasible car, which appealed to Indians, was launched back in 2008. The Nano received much Media attention due its low price. It was launched at the initial price of Rs. 100000. Nano soon became household name, small size and limited features was the reason for its popularity. Tata Nano now comes with Automatic model also. You can own these cars by connecting with Shriram Automall India Ltd. (SAMIL). SAMIL’s unique bidding platform provides the customers to easily acquire as well dispose off any used cars in India. Transparency in Transactions and Pan India Presence attracts the people to connect with SAMIL. With all new bold & strong engine and chassis design the YZF-R3 sports a solid combination of class-leading power and a lightweight body that achieves high levels of riding performance and styling worthy of the 'superbike' moniker, Yamaha said in their statement. The areas that the company mostly worked upon are high-speed performance, passing acceleration and thoroughly enjoyable performance on winding roads, Yamaha Motor India Sales Managing Director Masaki Asano said. Currently the Super-sports segment (250cc to 600cc) is doing around 1,000 bikes a month and the plan is to attain a 20 per cent market share in the segment. 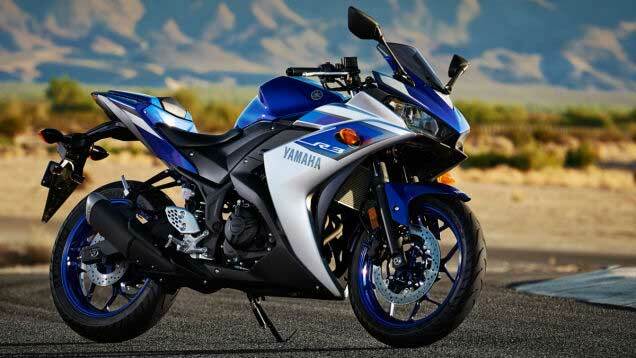 The 'YZF-R3' bike will be available at select authorised Yamaha dealerships in two colors - racing blue and black lightning. 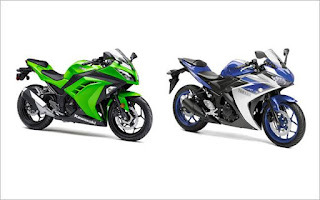 The Yamaha YZF-R3 will receive a strong competition from Benelli TNT 300, Honda CBR250R but the closest competition will be from Kawasaki Ninja that also features similar specifications. 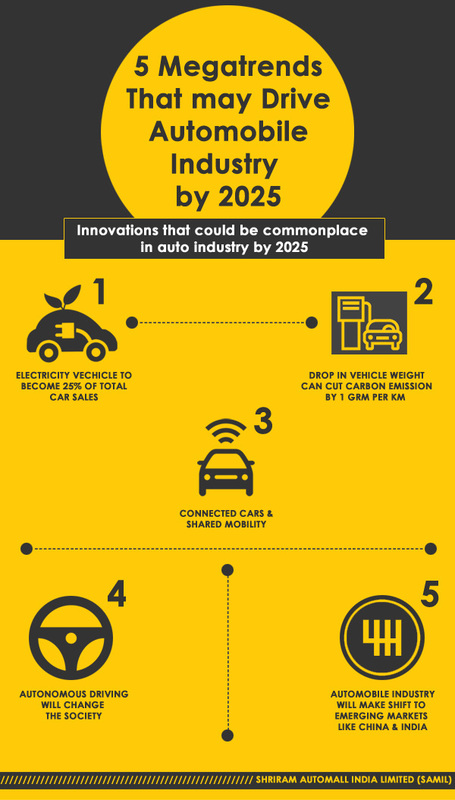 Automobile industry is transforming at a very high pace & by 2025 you will witness the developments that were previously unimaginable. Planning to buy used car this year? Connecting with Shiram Automall India Ltd. (SAMIL) can fulfill your wish. For all those people who have limited resources or are in need of owning the used vehicle, SAMIL is your one stop solution. Buying a used vehicle has never been this easy and unique as offered by SAMIL; their unique bidding platform has always been an apparent attraction for the prospective consumers. People are more and more inclining towards used vehicle market and are now more aware of the market conditions to be checked while buying the pre-owned vehicle. Many reasons are there for people to be shifting from new car market to used ones, some being – High rates of Interests on loans, registration charges, services charges along with high cost for extras and add-ons. 1. Maruti Suzuki Swift - Compact and spacious car with good fuel economy and easy to drive. Maruti Suzuki promises customers with value for money. Hatchback was launched in 2005 and has sporty look. 2. Honda City – This Sedan has always been the top choice of Indian buyers, be it new or pre-owned. Honda’s brand value and reliability has been the constant attraction for the customers. 3. Hyundai i10 – This hatchback is a good looking car with decent looks and lower maintenance costs. Very affordable and up class features of the car are an instant attraction for consumers. 4. Hyundai Verna – With the diesel model, this car has been quite a deal for the customers to look out for. Verna being a Sedan is known for its stunning looks and upfront features. 5. Toyota Innova – Spacious and reliability along with the low costs of maintenance Toyota is preferred by many. SUV segment car is available at affordable prices and has been the leader for quite a time. You can opt from many options available and purchase a second hand car of your wish through SAMIL and become a proud owner. Buying a Pre-owned vehicle from SAMIL is very easy fruitful as a customer can strike great deals.